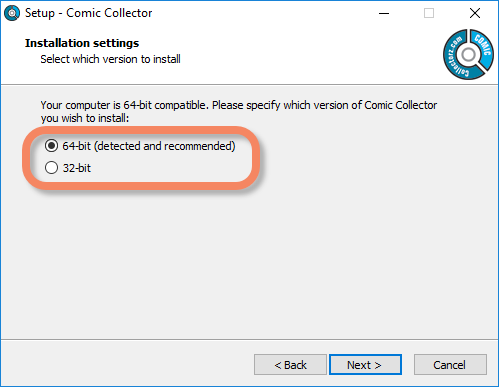 What's new in Comic Collector for Windows? We have fixed various stability issues in the program to get rid of some more access violation errors that were happening for a couple of users. We also fixed a problem where “File > Open Database” didn’t refresh the main screen to show the opened file. If you run into issues where you your TWAIN image scanner, or your barcode scanner won’t connect or work, this is usually caused by the drivers of these devices which are not 64-bit compatible, and thus can’t talk to your Collectorz program. We’re trying to look for a way to make them talk to the 64-bit version, but for now, to work around this, redownload the software from your CLZ Account page and during installation choose to install the 32-bit version!